Cooper was supposed to be the final piece of the puzzle. Jim and Beth’s third child would perfectly complete their family. However, just weeks before welcoming Cooper into the world, Jim and Beth, heard the words that all parents fear most – “something is wrong.” Panic immediately set in as they learned that Cooper had a large tumor on the right side of his brain. Not only did Cooper have what the neurosurgeon described as “one of the largest tumors he had ever seen in-utero,” doctors also discovered 10 small tumors in Cooper’s heart. Jim and Beth’s dreams were shattered - Cooper was supposed to be the final piece to their family’s puzzle, not introduce a whole new puzzle into their lives! Before their loving arms received Cooper into the world, Jim and Beth received a diagnosis - Tuberous Sclerosis Complex. TSC is an incredibly rare genetic disorder that causes the formation of non-cancerous tumorous in various organ system of the body such as the skin, brain, eyes, heart, kidneys, and lungs. 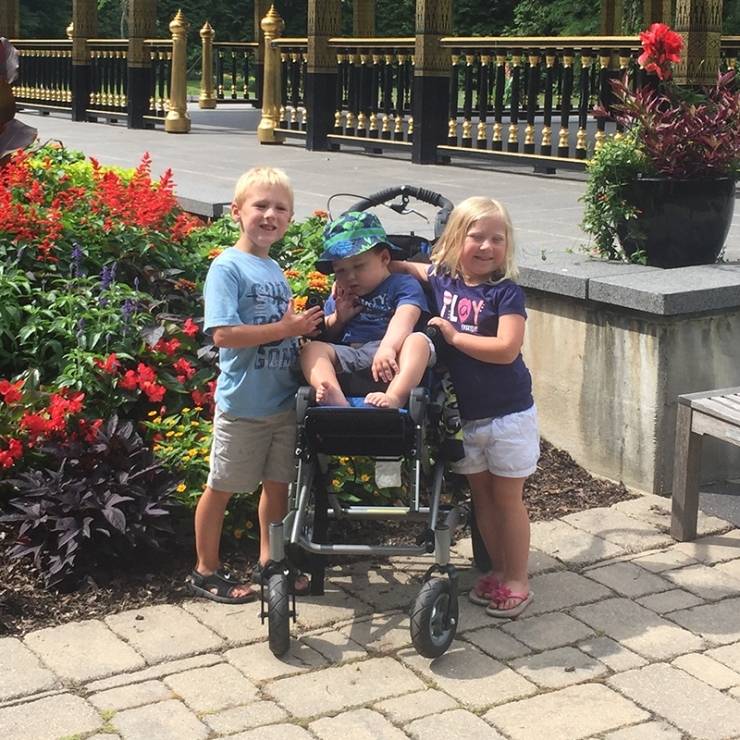 Cooper’s parents were hopeful that Cooper would be one of the 10% of TSC patients who don’t have seizures. 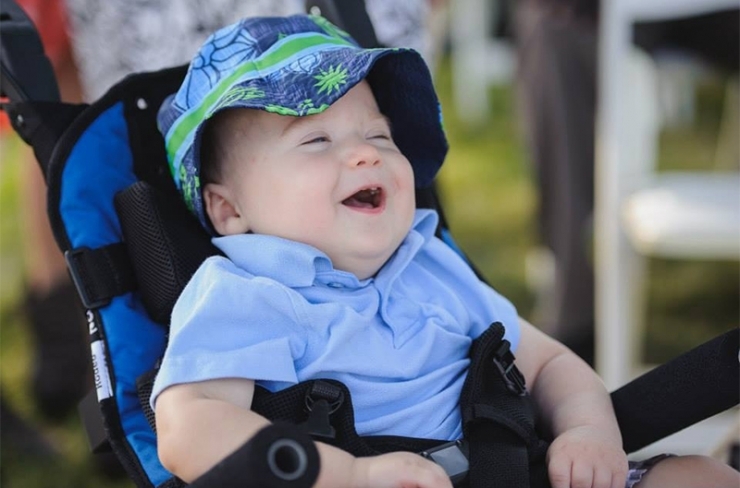 Shortly after birth, Cooper began having constant sub-clinical seizures. Though the seizures were not visible, the inside of Cooper’s tiny body was subject to their relentless torment. At only four months old, Cooper underwent two surgeries to control his seizures, but the surgeries did very little to help. Then, when Jim and Beth thought things couldn’t possibly get worse, they did. Cooper began having large, highly visible break-through seizures numerous times throughout the day. Giving Cooper rescue medication to break the seizures became a daily routine. 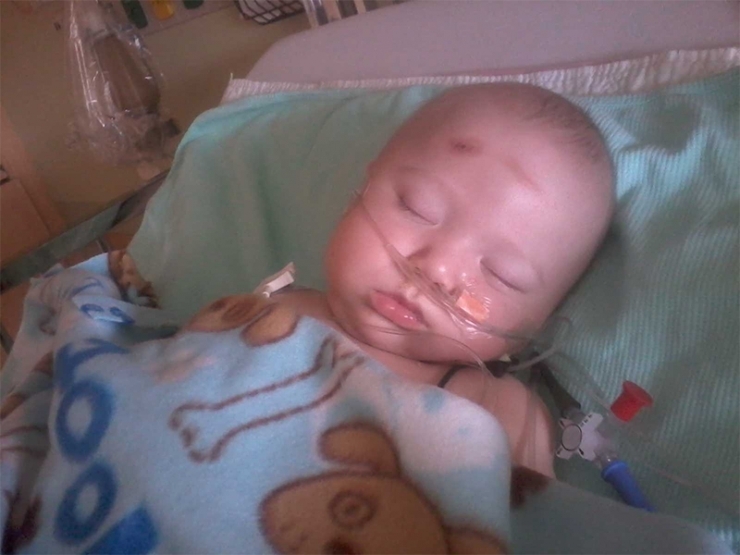 In addition to tumors and seizures, Cooper also had erratic heart rhythms and elevated, unsustainable heart beats. However, the most definitive aspect of Cooper’s heart is its purity. Because of his wonderfully pure heart, Cooper was never without a smile regardless of the obstacles he was facing. Part of Cooper’s charm is that “he loves everything we take for granted.” He enjoys snuggling and going for walks. He loves listening to music and hearing the voices of his family and friends. He loves being outside and feeling the wind in his face. For his doctors, family, and friends, Cooper’s smiley disposition brightens the seemingly endless days darkened by his diagnosis. However, Cooper’s ruthless seizures threatened the existence of his irreplaceable smile. 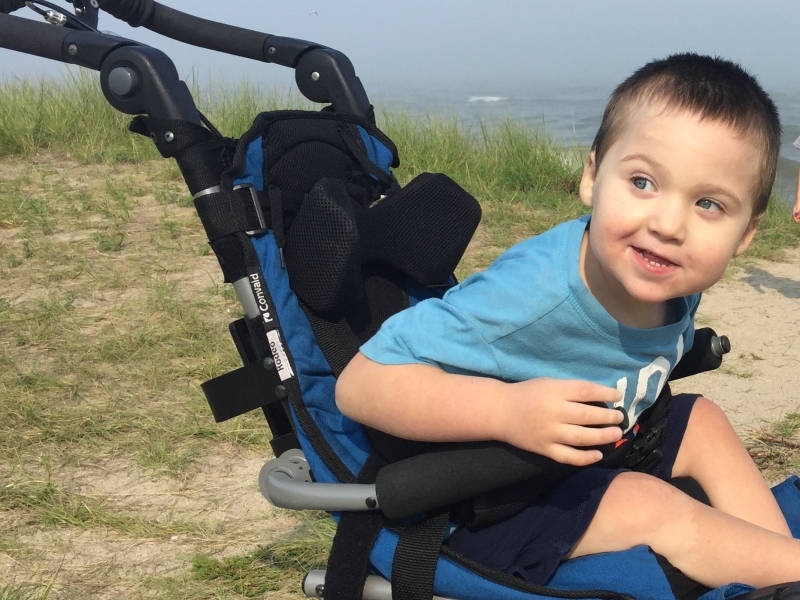 His parents knew that the more time that passed with continued seizures, the more detrimental it would be to Cooper’s already compromised development. His neurologist suggested a surgery in which the left side of his brain would be partially disconnected from the right side while also removing the large tumor that was present before he was born. His parents were faced with the impossible decision of knowing what to do. Was this surgery the right piece for the puzzle that is Cooper? 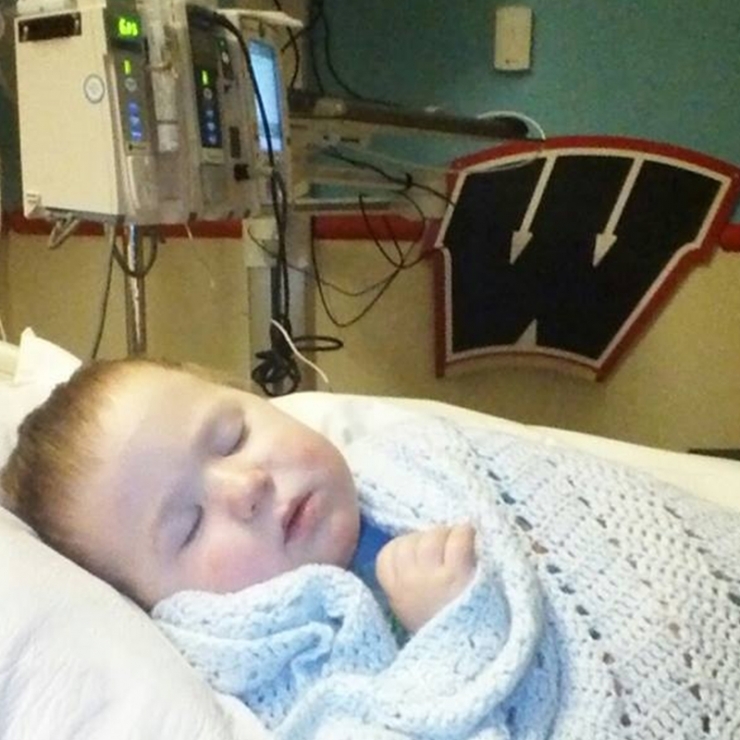 Because of his seizures, Cooper had the most pediatric EEG’s performed at the American Family Children’s Hospital in Madison, WI for the year 2014. Jim and Beth worried about being able to carry Cooper and his wheelchair up and down the stairs to the basement of their Wisconsin home to play in the family room with his brother and sister. Ultimately deciding to move forward with the surgery, Jim and Beth’s fears grew as Cooper’s surgery date approached. Then, just days before the surgery, Jim and Beth got a very unexpected message – a piece to the puzzle they never fully expected - they were approved for a grant from Chive Charities! Cooper was going to receive the gift of freedom in the form of a $31,000 grant that would be used to put an elevator in their home! Knowing that after surgery, Cooper would not be trapped in his own home, confined to only certain areas helped ease their anxious minds. The elevator would allow Cooper to not only live in, but have a life in his own home! 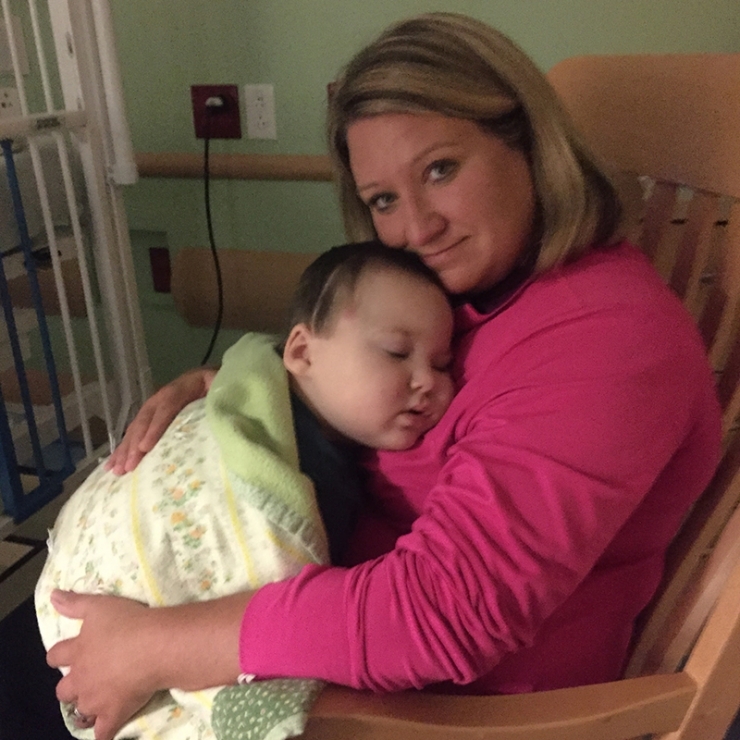 Prior to surgery, Cooper never slept through the night because of his seizures. After surgery, he sleeps through the night…every night! Cooper can now access the rooms located in the family's basement including the rooms of his brother and sister as well as the family room where the family spends time together. 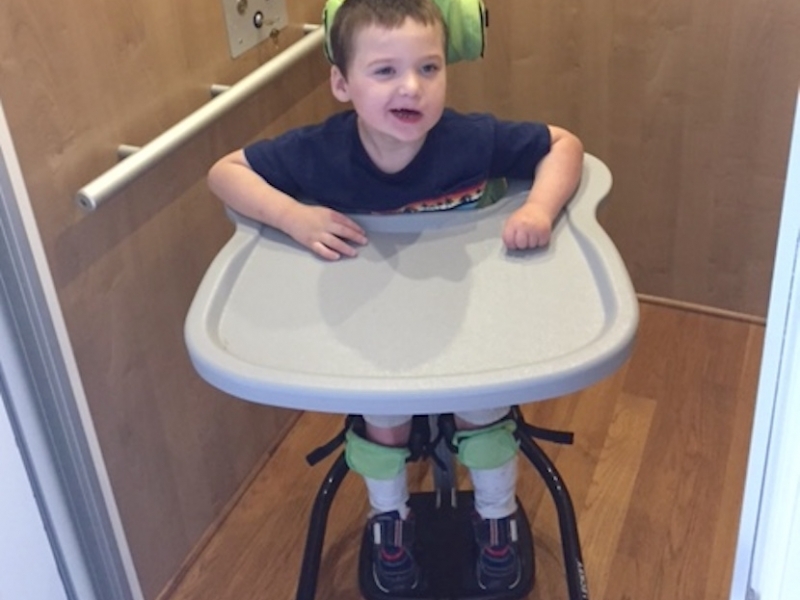 Cooper will also have his very own therapy room where he can work with his physical, occupational, and speech therapists in an environment just for him and his specialized therapy toys. 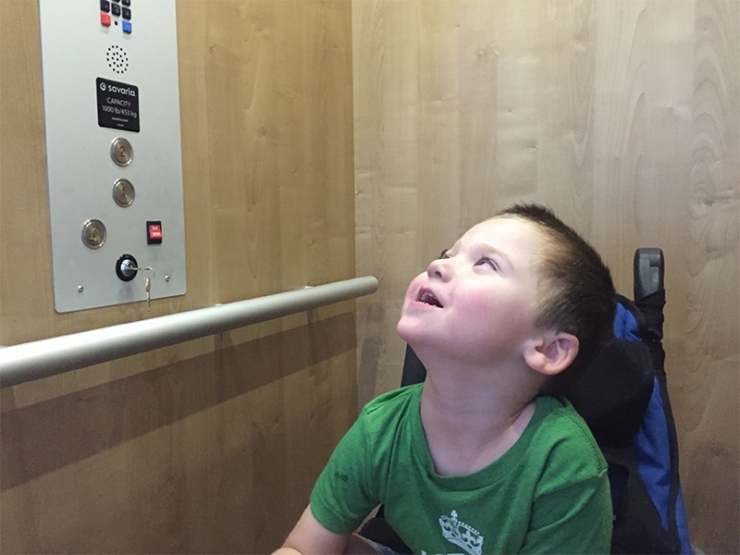 Cooper’s new elevator provides him with comfort, safety, and most importantly access to his family and friends that visit. Cooper loves to look at digital display in his new elevator. The in-home elevator allows him to interact in the downstairs living room, engage with his siblings in the toy room, and provides a means to safely move him in case of an emergency. In fact, Cooper had some very special visitors a few months ago just before his big surgery. 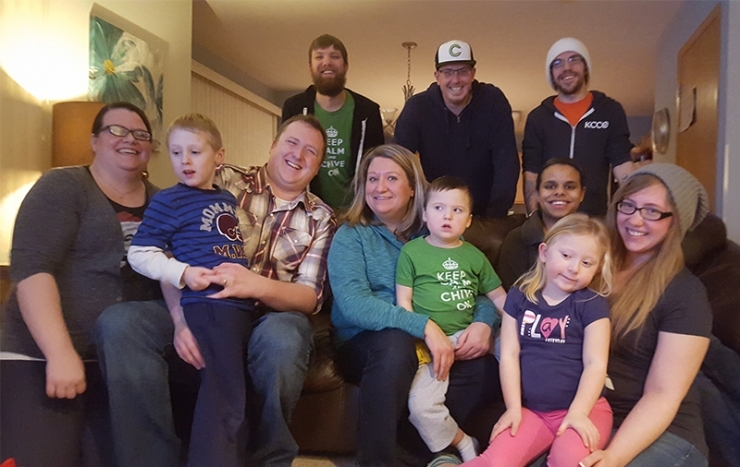 Members of the Milwaukee Chivers and Madison Chive chapters spent a couple of hours with Cooper and his family in their old two-story home. They were able see first-hand the need for and impact of having an in-home elevator on the lives of Cooper and his family. Cooper’s life has been and continues to be a unique puzzle. But this little puzzle continues to bring other pieces together. Not only did he unite members of Chive Nation with his family, but he also united Chive Charities donors with a cause bigger than themselves. And through his innocent smile and precious laughter, he continues to open the eyes of everyone he meets to a whole new world of appreciating and embracing the simple things - a much needed outlook when life seems like nothing more than a puzzle. Become a Chive Charities Green Ribbon Fund donor HERE. Learn more about TSC HERE.